Jacket printing Singapore catered for your corporate events. We provide customise printing on range of jacket and long sleeve t shirts that gives a soft & comfy feel. All jacket & long sleeve t shirts can be done with embroidery and various types of printing method. We have other options on t shirt printing too such as polo t shirt, drifit t shirt, dri fit polo t shirt, and cotton t shirt. We provide customised t shirt printing in Singapore on materials ranging from cotton to microfibre (dri fit). Our jacket and long sleeve shirts can be customised with low MOQ of 10pc only! For express jacket and long sleeve shirts orders, we can get it printed in as fast as 3 working days! Contact us for quick quote now!. Variety is what TREA prioritises along with comfort, style and functionality. Our Jacket & Long Sleeve selection boasts a fine collection of jackets, hoodies and long sleeve shirts for all occasions. Allow us to run through with you this selection to make your choice an easier one. Jackets and hoodies have stayed in trend for a very long time and have proven themselves to be popular streetwear in Singapore throughout the decades. Here are some tips for printing on your jackets and hoodies so that they stand out from the crowd. TREA offers 3 variations of hoodies, namely the Hoodie with Zip, Hoodie without Zip and Kids Hoodie. Our hoodies are made out of 50% Cotton and 50% Polyester material. This cotton polyester blend is made with both types of fibers so we get the best qualities of each. The result is a fabric that is breathable, shrink free, tear resistant and most of all, comfortable. Being an influential streetwear to Hip-Hop culture, hoodies have stood the test of time. While graffiti designs used to be popular in the past, more people are opening up to having their own big design artwork printed on the hoodie. The large surface area on a hoodie means there is more room for you to custom your hoodie. Jackets are great apparel tools to represent a company especially if the jacket is being customised with print. They boast a sense of formalness while serving its function of keeping you warm in the office. Unlike a uniform, you will not need to worry about putting on a custom jacket on 24/7. The option of taking it off once office hours are over, is available. Our jackets share the same material blend as our hoodie selection, consisting of 50% Cotton and 50% Polyester. They are comfortable, breathable, shrink free and tear resistant. If you would like just your company logo to be printed on the jacket, our embroidery service is available as well. Jacket embroidery is popular in Singapore as it could make your logo stand out, and last longer than normal printing. There is no secret as to who these varsity jackets are printed for. TREA’s Varsity Jackets selection is ideal for college, polytechnics and universities. We have 2 different jackets available for your choosing, the first is made out of 65% Cotton and 35% Polyester. The second is made out of 50% Cotton and 50% Polyester with a waterproof inner lining. Whether you’re in your school’s union group or a particular school community, these varsity jackets do not go wrong. Not only can you print varsity jacket with designs and logos, you can also print individual names and numbers. The heat transfer print method is much preferred for printing varsity jackets as every name and number is different. On top of that varsity jacket embroidery is also available to further enhance your personal or corporate identity. 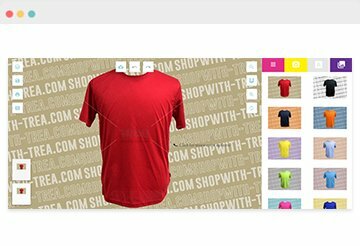 While custom t shirts are mostly sufficient, TREA understands that there are particular jobs, events or campaigns where custom long sleeve shirt is required. Keeping this in mind, our Long Sleeve t shirt selection is here to provide you with a solution. This selection consists of 2 different fabric materials. The first t shirt is a Long Sleeve Crossrunner Tee which features a 100% Performance Dry Pique material. It is versatile, durable, easy to take care of and very breathable. These are specifically made to withstand long hours of operations. The other material is 100% cotton long sleeve t shirt which is a more conventional and classy option. These are more suited for air conditioned environment where formal events and campaigns are being held at. Long sleeve t shirts are commonly used by backstage crew members. In such cases, silk screen printing is the most preferred print method as it is easier to print words such as “crew” consistently throughout a bulk order.